Listed below are all the Boards and Commissions for Warwick Township. If you are interested in participating on one of the groups, please send your letter of intent and resume to Kyle Seckinger, Township Manager at kseckinger@warwick-township.org. 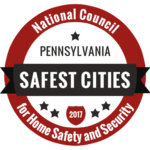 All members must be residents of Warwick Township. 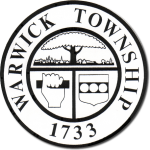 The Warwick Township Board of Auditors consists of three elected board members as defined in the Second Class Township Code and enacted by the General Assembly of the Commonwealth of Pennsylvania. Each township of the second class elects three auditors at each municipal election. Auditors are elected at-large for a six year staggered term. This Board meets annually. January 8, 2019 7:00 P.M. The Board of Supervisors established the Ad Hoc Comprehensive Plan Committee to facilitate the 2019 Comprehensive Plan Update. This is an ad hoc committee. Members will expire upon completion of the comprehensive plan update. Dates are to be determined. Members are appointed to one-year terms. The Committee meets on an as needed basis at the Municipal Building, 1733 Township Greene, Jamison, PA 18929. Resolution No. 2003-36 established a Committee to assist the Board of Supervisors for the purpose of providing recommendations in the area of finance, investments, pensions and long range planning. The Planning Commission is responsible for hearing land development, zoning ordinances, and other township development plans in an effort to help the Board of Supervisors plan and guide the growth of our municipality, municipal services, and public improvements. Members are appointed to four-year terms.